This morning I met with Linda, my critique partner, for our monthly visit. We headed to a local cafe and over tea and snacks we chatted about writing, books, ideas and even our own work. It was a very enjoyable morning. But, discussing my lack of writing once again (there have been many dry spells this year! ), made me realize just how little I have actually written this year. I started November off well – with just over 10,000 words written for NaNoWriMo in about a week’s time. But then the wall hit and inspiration lagged. I tried working on another novel, but did not get far with that. Even trying to write up ideas for PiBoIdMo has not been as good this year either. Ugh. I have been reading a lot of novels, visiting blogs and creating some art instead of writing. That insightful comment has been simmering all week and as I talked with Linda, it hit me that I avoid being rejected by not writing. If there is no work to be judged, I can’t be rejected. Linda talked about her rejections and how she has learned to rise above them. She loves to write and keeps on writing. I have so many stories brimming, waiting to be told. I just have to write and write for me. I just need to restart my routines, enjoy the process – as I told my students – and write. These writing quotes I created a while ago really are so right. I need their inspiration. I started reading ”My Grandfather Would Have Shot Me” (the autobiography of Jennifer Teege) last week, before the Paris massacre. I have not finished it yet, but it seems to make a jarring symmetry of two different eras, two different terrorist acts. Jennifer Teege writes about discovering that her grandfather was Amon Goeth, the Nazi commandant of Plazow, immortalized in “Schindler’s List” and who was executed as a war criminal for the atrocities he committed. I have always wondered how anyone could take another’s life, let alone thousands. Hitler’s Nazi Regime is a dark, horrifying stain in history. Now with ISIS, that sense of horror has deepened. Many are calling for an attack on Muslims. Here in Canada, a mosque, a temple and a woman in a niqab have been attacked in the past few days. Hatred has no place in our society. We are fortunate to now have a Prime Minister who can separate the terrorists from the refugees. There have always been attacks on others based on their religion, or colour of their skin – from Catholics, Protestants, Muslims, Sikhs. How desperate are people that they must last out at others who are different. In Matthew 25, Christ makes the point that when we care for the least of these, we are actually caring for Christ. How many Christians actually follow the words of Jesus – WWJD? Twitter has been full of those self-righteous people who put fear ahead of common sense, hate before compassion. The refugees themselves are fleeing the terrorists. Too many have been killed, disenfranchised, and left to suffer. We all need to step up and replace hate with compassion. When our own leaders (in both Canada and the US) shut their borders to allowing the refugees entrance into a democratic, safe country, then they are playing into the hands of the terrorists. It is a sad day for humanity when hate overtakes love and compassion, just as it did in Nazi Germany. Of all the times for there to be a problem with our pipes. On Sunday, a couple of hours before we were to host a birthday dinner for ten, complete with turkey and all the trimmings, my hubby discovered a leak in the basement. Luckily for us he found it early. But the water had to be turned off. You never realize just how much you need to wash your hands or turn on the taps, until you don’t have water. I still had to peep potatoes and get the vegetables ready. So, thewater was turned on about an hour before supper while I filled pots, bowls and other containers. I felt like a pioneer woman. But I was able to cook everything, serve dinner and enjoy it, even without running water. The dishes though, were pileed around the kitchen. Monday I was able to get a plumber in to fix the pipe ab=nd by late last night I had washed the last of the dishes. How thankful I am for running water! 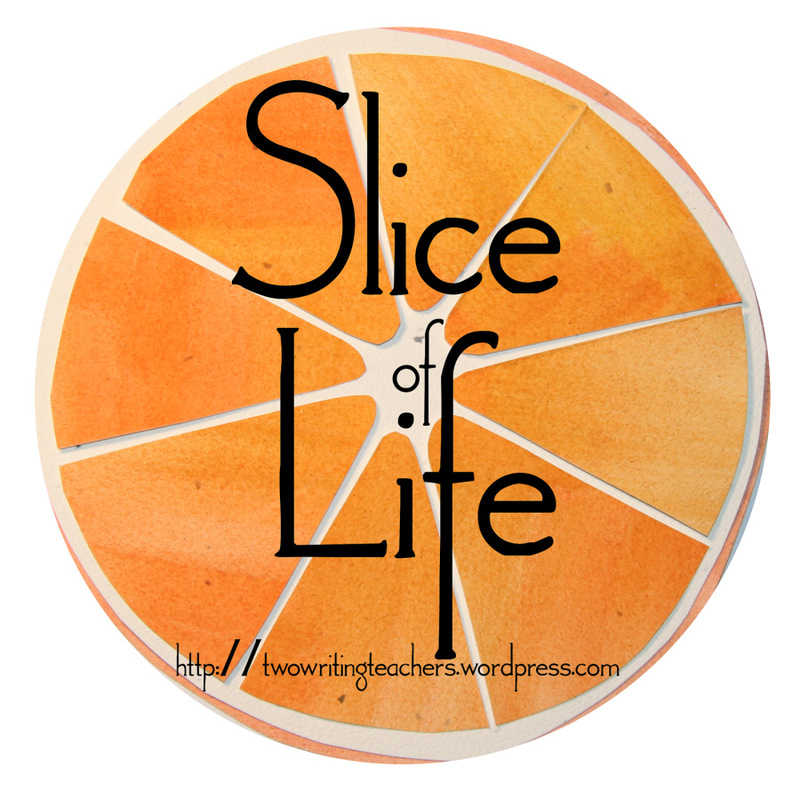 Today is Slice of Life Tuesday – the weekly writing challenge, hosted at “Two Writing Teachers”. Last Thursday we drove eight hours to be a part of history. My husband’s family have been involved in horse racing for a long time. His father and grandfather both raised and raced thoroughbreds. So, for them Breeders’ Cup is a big deal. These 2 days of races took place in Kentucky this year, at Keeneland. The trip down was long and there were two near misses from people on cell phones. But I was able to write a bit, read a book on plotting and do some editing. Friday we had fun at the track. I had several jockeys sign a hat and we actually won a few races. But it was Saturday’s biggest race, the Classic, that we had come for. American Pharaoh, the first triple crown winner in 37 years, was to race his last race. He was cheered from the time he made his appearance and then in the final stretch when he pulled ahead and crossed the finish line first. The explosion of cheers was electrifying. History indeed – the first triple crown winner to win a Breeder’s Cup Classic. Driving back Sunday we still felt the glow from Saturday. But it also seemed to spark my writing, as I wrote and wrote, scene after scene – well over five thousand words. Nothing fives a boost to writing as does an eight hour drive as a passenger. I have started a new novel for NaNoWriMo and I got a good start on it during our trip.